on the one chance to save big! While stocks last! START SHOPPING AT ZALORA ONLINE FEVER SALES TODAY! The wait for the exciting event is over as today you will receive the special price deals of fashion items offered by ZALORA. Following the trend of Cyber Monday, customers can surf their way searching for their dream fashion head-to-toe and flaunt it without even breaking the bank from the various well-known brands. Online Fever is definitely the big sale which can never be missed especially before the year ends. Stock up new fashion items for the coming New Year and be confident in what you wear. ZALORA offers a wide range of fashion brands with up to 70 percent off for customers to experience an amazing discount sale. Online Fever 12.12 is going on until the day ends which makes it a must for men and women to release the shopaholic mode immediately. The trendy fashionistas will definitely fall head over heels and crazy feasting their eyes on the offered Online Fever sale items from ZALORA participating brands. The Online Fever event is organized to give an opportunity for valuable customers to grab their fantastic dream fashion items without burning a hole in their pocket. Both men and women should squeeze in some of their time on 12th December to grab and splurge on this fantastic Online Fever 2018 sales event. 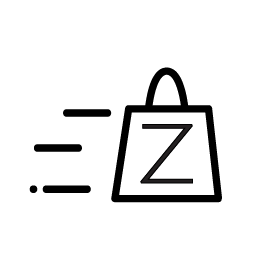 Wait no more and start shopping online with ZALORA to get all the special price items you are aiming for. Grab your laptop and scroll through the wonderful discount offers from participating brands. Choose a bulk of items ranging from apparels, shoes, accessories and more to add into your online shopping cart. Click the checkout button and wait patiently for your fashion items to arrive within a few days. Hurry up and chase the Online Fever 12/12 sale right here at ZALORA! Shop now and enjoy the fun online shopping experience! You will never ever regret your choice to shop with us on this big sale event!